We hate to blow the whistle on some local online video marketing services and video SEO companies out there, but we need to tell you a secret those companies don’t want small business owners to know. What’s the secret? It’s that local online video marketing is incredibly powerful, affordable and very much essential to the future of both online presence and your overall online marketing strategy. So why don’t those other video marketing and Charlotte SEO companies tell you this secret? It’s because most of the so-called internet marketing experts out there don’t understand how to utilize video marketing to promote their clients. Thankfully for you, though, you have arrived at BlueManDigital.com – the online resource for the best, most effective local video marketing services you’ll ever find. As you continue to read on, you’ll find out just how much of an impact our video marketing services can have on your company. YouTube advertising is far less expensive than AdWords pay per click. YouTube, the most popular online video site, receives over a billion web searches every day. That is second only to Google. Vimeo and other video sharing sites are a distant second to YouTube. Nearly 65 million unique visitors use YouTube every month. Think about how many of your customers are regularly using YouTube and how you can effectively market to them using this popular video-based website. Videos prompt customers to take action. The ultimate goal of any online marketing effort is to get your customers to take action. Video search marketing is growing at an incredible rate. Why? Because local video marketing in Charlotte NC is very affordable and customer engagement is phenomenal. It also effectively lowers the bounce rate on your website. Google tends to display videos as the number one result for many keyword searches. To grab those number one spots on the search engine results pages, however, proper video SEO must be administered to all of your company’s YouTube videos. 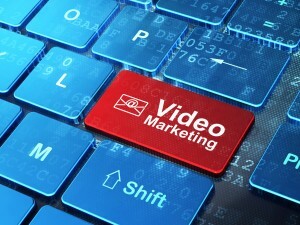 The video marketing experts at BlueManDigital.com use the latest SEO techniques, in conjunction with professional video creation to help our clients get their videos to the top of the most relevant search engine results pages. 1. Use a video testimonial instead of a boring written one. 2. we will embed the YouTube video right into your website. Google loves this. 3. We take the video review from customers and market them across many social platforms such as Facebook, Twitter, Google+ along with many video sharing sites.